If you want to be among the first to know who receives the prestigious Howell Citizen of the Year award, you’ve got until Friday, Jan. 16, to get your tickets. 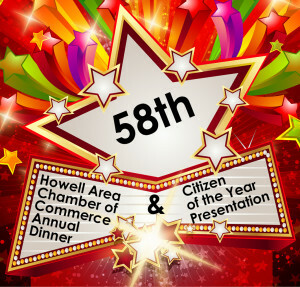 The Citizen of the Year and five other awards will be given at the 58th Annual Howell Area Chamber of Commerce 58th Annual Dinner & Citizen of the Year Presentation on Thursday, Jan. 22 at Crystal Gardens – Livingston. 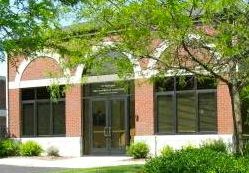 The event will recognize community leaders and spotlight key Howell Area Chamber of Commerce programs and activities in 2014. Award recipients being honored at the annual dinner include: Courtney Tarara, Young Professional Award; Thai Summit America Corp., Jobs and Prosperity Award; Tom Sullivan, Community and Educational Impact Award; Heart of Howell, Architectural Investment Award; and Rich Perlberg, Life Member Award. The 58th Annual Dinner & Citizen of the Year Presentation is sponsored by Saint Joseph Mercy Livingston Hospital and PNC. The annual dinner celebration begins at 6 p.m. Dinner is served at 7. Cost to attend is $55/person, $430/reserved table of 8 or $510/reserved table of 10. Reservations can be made by emailing mtokan@howell.org or by calling the Howell chamber at 517.546.3920.